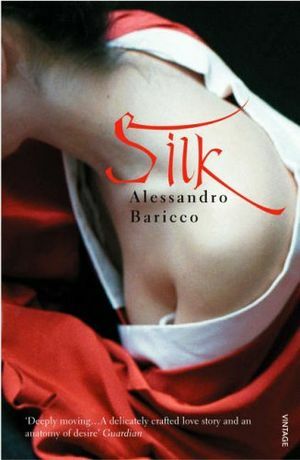 Translated from Italian and told over a scant 91 pages, Silk is the tale of 19th century French silk merchant Hervé Joncour. When a blight threatens the European and African silk worms, Joncour is sent further afield to source new worms to sustain not only his livelihood but that of his home town. Leaving behind a loving wife, it is to Japan that he travels; a country mysterious through it’s policy of self-isolation but renowned for their quality of silk. On this first trip he successfully negotiates and obtains silk cocoons from a Japanese baron amidst much secrecy; Joncour is led blindfolded to the village. It is on this first trip that he first encounters the Baron’s concubine and a mutual fascination develops. Silk is physically brief – if 91 pages is not short enough, most of the pages were only half filled. I mention this only because I am still amazed at how much of a complete story is told, how much emotion is conveyed, how much there is to take a away from this novella. There are historical facts here; a little about the silk worm industry; Japan and their self-imposed isolation; Joncour’s journey is mapped quite thoroughly and is able to traced. But alongside the historical aspects, there is a complete and satisfying story. I’m not against books that leave things a bit open ended, allowing the reader to draw conclusions or imagine how they would like the characters to move on after the written part of their journey ends. In some circumstances I actually prefer it and with novellas I expect it. However, Baricco tells the full story of Joncour, his trips to Japan, his enthrallment with the concubine and the effects on his life in France particularly his marriage. The characters are not able to be fully fleshed out but this does not affect the readers understanding of the motivations or actions of the characters involved. The instant attraction leading to the ongoing obsession, the reasons behind the Joncour’s enduring marriage in the face of this, what both Hélene and Hervé do as individuals to see it out. When I first rated this, I gave it a 4/5, Goodreads not allowing me to give it that extra half a star I felt it deserved at the time. After giving it the necessary musings in writing this review, I’m re-thinking my rating. For all the reasons listed above, I thoroughly enjoyed this quick read. But the amount of times that it has popped back into my thoughts since reading it means it really has resonated with me. It is beautiful, sensual, desperate and heart-breakingly sad. And so I’m bumping it up to 5/5. Another reader commented that the length of this story allows you to read it one sitting and this is how I am recommending it. Read it once in one sitting to appreciate the story. Read it again, slowly, to appreciate the writing. I love it when I can use the word “delicious” to describe a book – I’m sold! I recently read this book too and I concur in your rating. A feast of a book.